Cameron didn’t even have to think about what he wanted to do for his birthday: Play golf with his family. How fast he’s growing up. It wasn’t long ago that all he could talk about was a big birthday party with his friends, laser tag, Nerf gun battles and Legos. Now he’s focused on his golf game and trying to outplay his mother (which he’s already done) and his father (which won’t be long!). For his 11th birthday, he had his heart set on new TaylorMade woods. He’d finally outgrown the junior clubs that he’d been playing with for years, and his game had improved so much so that he can handle them. 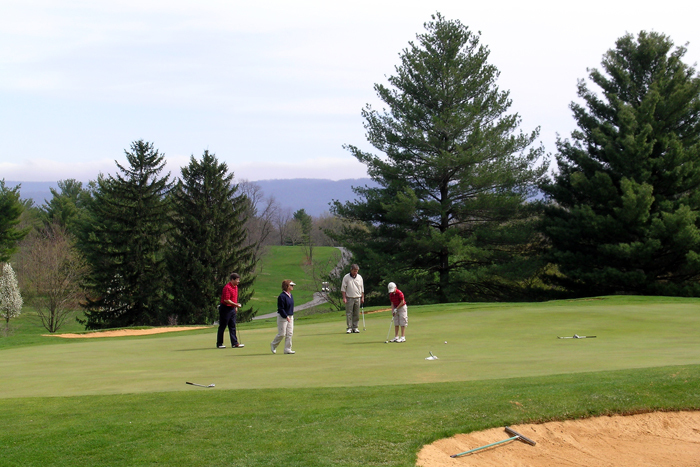 We had a wonderful day watching him play at the Shenandoah Valley Golf Club and marveled at his improvement. Even though this was Cameron’s birthday wish, I think all the adults—including his Aunt Pam and Uncle Mark—felt like they received a gift, too.